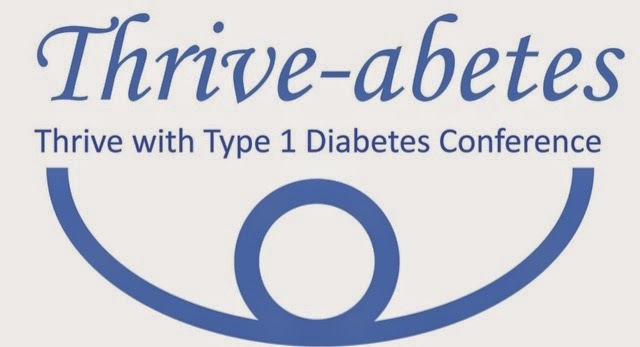 Diabetes T One - Blogs : Thrive-abetes, Thrive with #Type1Diabetes Conference for people withType 1 Diabetes and carers of Type 1 Diabetics. Thrive-abetes, Thrive with #Type1Diabetes Conference for people withType 1 Diabetes and carers of Type 1 Diabetics. 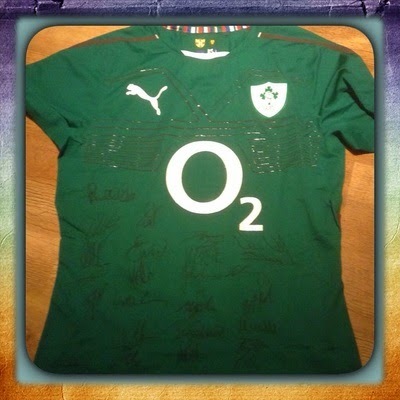 Win a Signed 2014 #SixNationsIreland #RugbyShirt, one of two weekends away in Cork or a €60 Ticketmaster voucher. 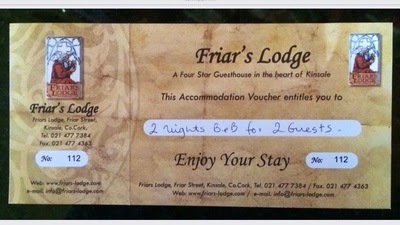 Raffle tickets cost €5. Good Luck! To buy your ticket just follow this link. 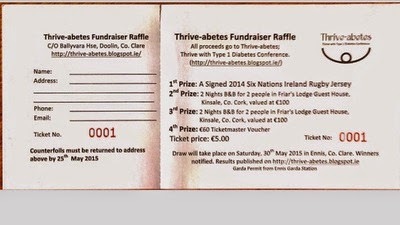 All proceeds raised are going to Thrive-abetes; Thrive with Type 1 Diabetes Conference for people with #Type1Diabetes, this conference is being held on 3rd October in The Glenroyal Hotel & Leisure Club. Anybody interested in attending this conference, can see all the information about it on Diabetes T1 Ireland face book page in the events section.